What is the best way to study Chinese? How to incorporate studying pinyin, pronunciation and chinese writing? I’ve been learning for almost year without any progress. Will be happy to hear your advice! Besides consistency, I would say to try to find native speakers to talk to. Join a Meetup group or something, or go to a restaurant or place of business and speak Mandarin (if you know the people there speak Mandarin… oh and you should probably buy something too). Otherwise, consider taking classes if you can. You’ll learn more and have an opportunity to engage in regular conversation. Learning chinese is a longterm job. You progress by stages. Most learners experience that feeling that they do not progress or that their progress are too slow. Don’t be disheartened. Chinese in fact is two languages a spoken language and a written so it takes the double amount of time to learn that another language. English to Chinese dictionary with Mandarin pinyin - learn Chinese faster with MDBG! It is also important to learn the radicals because it help you to memorize the writing of chinese characters. For the spoken language the best is to exchange with chinese friends or to have private lesson with a chinese teacher. It is very hard to learn the chinese pronounciation from books. Do not try to go to far to fast ! Delete from the list the characters that you already know, and then learn the remaining characters each days only 5. Learn the 5 characters before to go to bed, and the next morning write these 5 characters to check that you have memorized them. You can use a software like anki or made your own flashcards. No doubts that whithin one or two month you can master this list. Then you can try to read very easy text like this chengyu I have copied from a book for children. yīgè nóngfū zài dì lǐ zhǒngle màizi, kěshì màimiáo zhǎng dé fēicháng màn. Tā děng bùjíle, xiǎng ya xiǎng ya, xiǎng chū yīgè hǎo zhǔyì. erle, gǎnjǐn pǎo qù kàn——guǒrán, màimiáo dōu kūsǐle! A farmer had planted wheat in the ground, but the wheat was growing very slowly. He can not wait, was thinking about it, and came up with a good idea. The farmer was happy to say to the neighbors: "I did a good thing, I helped the seedlings to grow taller! " The neighbor listened and knew that was a bad thing. The children quickly ran to see - as expected, the wheat seedlings were all dead! 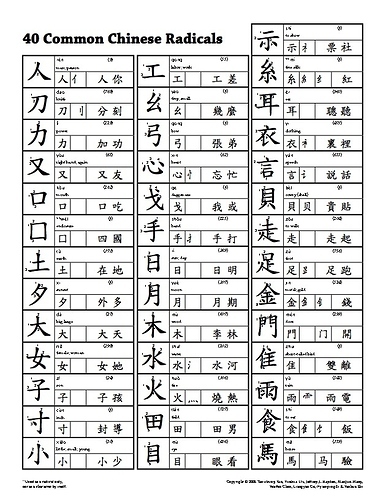 The text contains 121 chinese characters ( 72 differents) only 15 are not in the list of basics characters I have previously given. Then you can go to the next stage and write a larger list of characters. But you need always to review the previous list from time to time. Where Can I find radicals which I need to learn? Should I start from pronunciation, then writing? Should I learn pinyin first? Chinese is really two languages one spoken and one written. The best is to learn both at the same time. Last but not least tones are very important. I’m looking to schedule my chinese studies. I am working full time job, have family but still have a strong desire to learn chinese. Have very limited free time. I was listened to chinesepodcast and then making exercises and tried to learn hanji but it doesn’t work. So how to do it in a better way? Start with the newbie lessons. Whenever you have down time listen to them. That means, washing the dishes? Listen. Commuting to work? Listen. At the gym? Listen more. Don’t think you have to be paying full attention to get in some study time. Kill 2 birds with one stone. Second, download the ChinesePod pinyin chart and play around with it. Try to devote atleast 15 min a day at the beginning to get a strong foundation. Pinyin is detrimental to learning the language. Next. 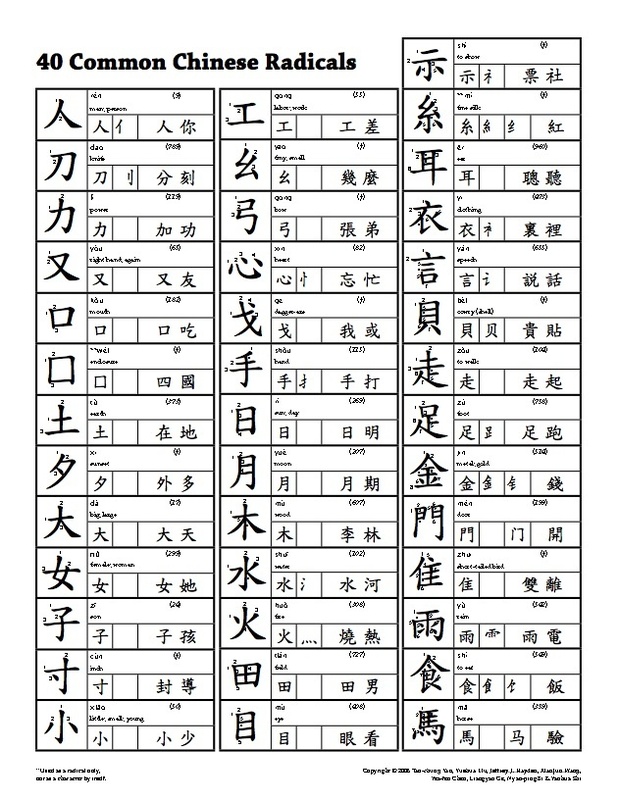 Once your comfortable with pinyin, use arch Chinese dictionary to look up the stroke order of the characters in a Chinese pod lesson. Then write them out with a pen and paper. Do this everyday for the next year, even if it’s 5 minutes a day, by the times the years up you will be so familiar with how characters are written, learning new ones won’t be an issue of difficulty just time. Now also, when your learning at the beginning stages it’s crucial to have fun with the language in order to further motivate oneself. That means, learn basic greetings and things to say to people you don’t know. Then whenever you see someone who looks even remotely Chinese, say whatever you can remember to them. This is the fun part and will motivate you to learn more. The key is just do something everyday in Chinese and before you know it you will know the language at some kind of level. I feel i’m making more progress since i moved away from pure (written) Pinyin. I’ve started using Skritter (in combination with Pleco) and went through the basic characters using the HSK 1, 2 and 3 vocabulary and then started adding all the vocab from the CP lessons which I don’t know when i need it. I’ve also switched all the CP exercises to use Chinese characters. Thanks for the radical links and charts. They are very helpful for me.